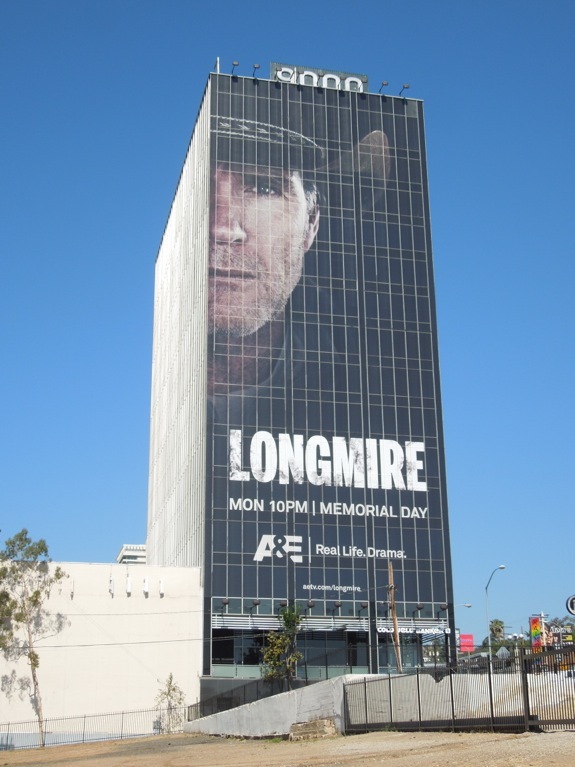 You know what they say, go big or go home, and A&E certainly seem to be giving a big push for their sophomore season of Longmire. 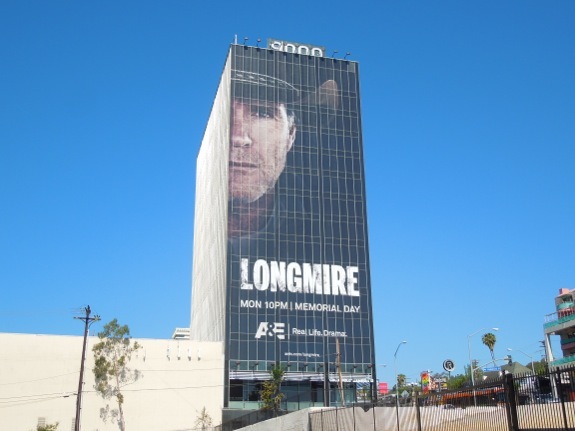 The subtle charms of Robert Taylor are back in the saddle as 'Sheriff Walt Longmire' in the second season based on the mystery novels by Craig Johnson. 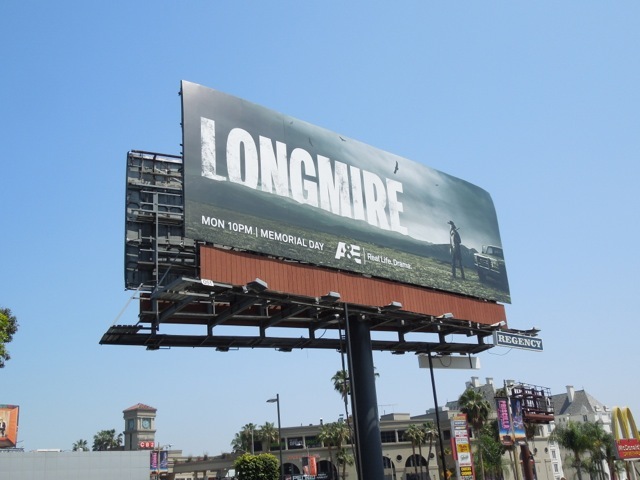 These billboards certainly evoke the feel of that modern day cowboy and reluctant hero, but are those storm clouds on the horizon brewing? 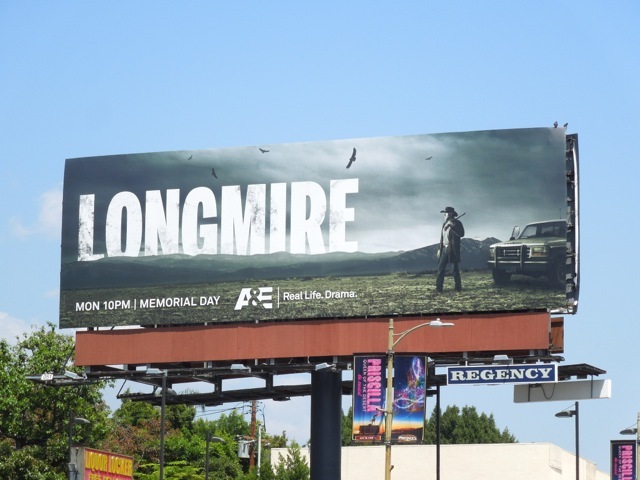 Daily Billboard is sure we're in for more murder, secrets and betrayal this season (and let's face it, you wouldn't have it any other way). 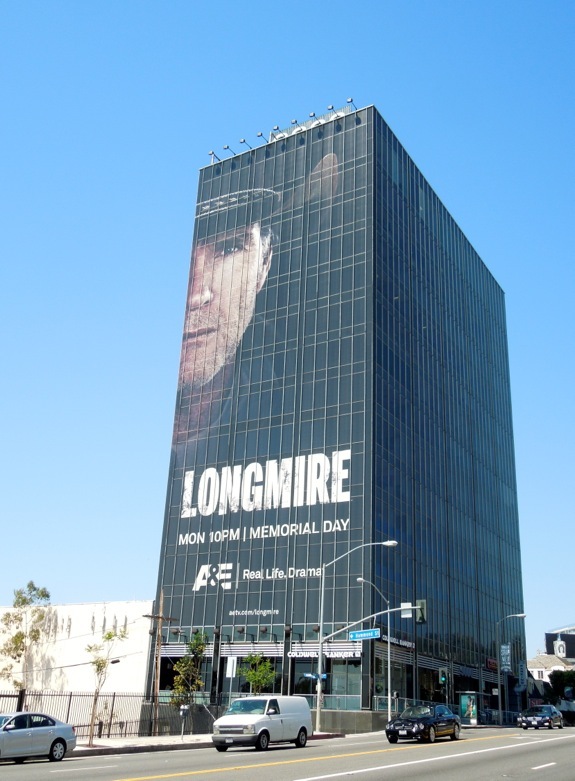 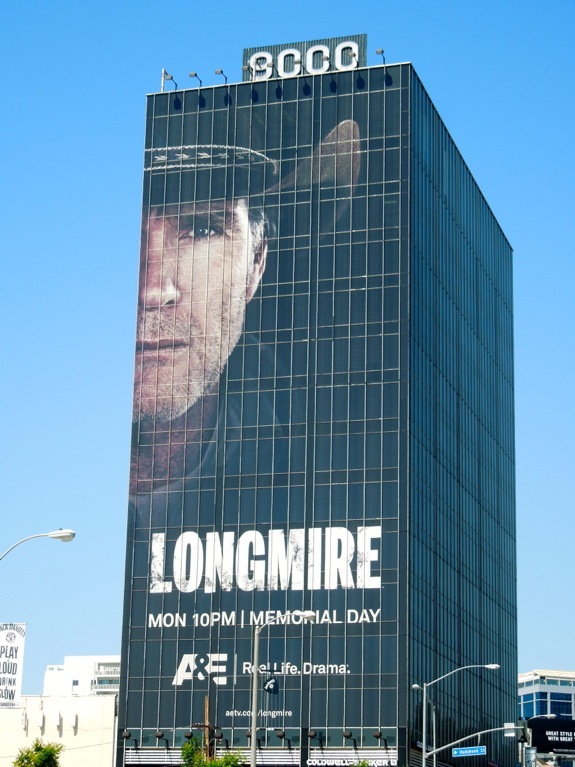 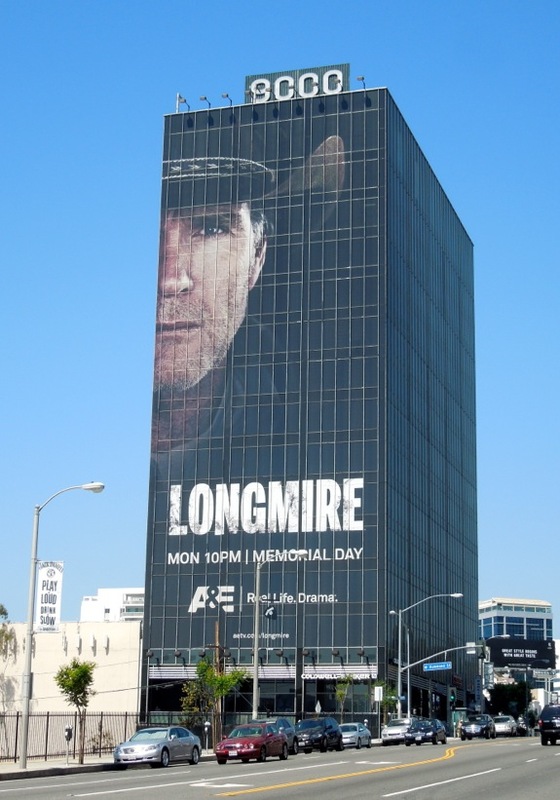 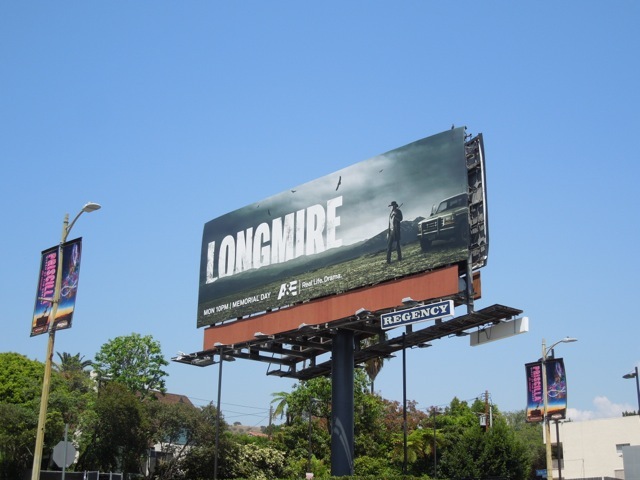 If you're a fan of the show, be sure to also check out the Longmire series premiere billboard from last year. 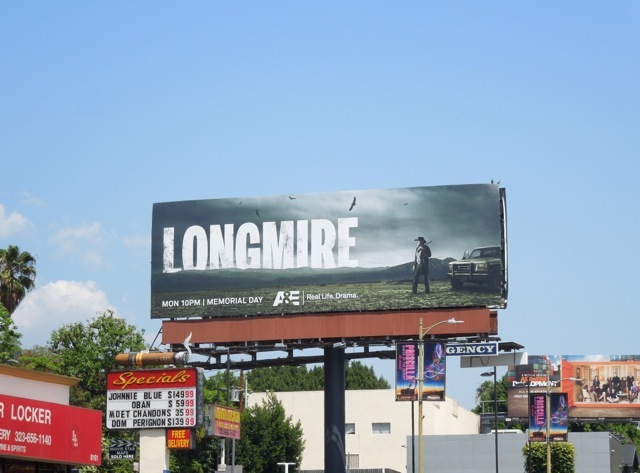 And if you like those, be sure to take a look at these other cool billboards for more great A&E TV shows.